PONTE VEDRA BEACH, Fla. – January 5, 2016 – Eastern Poultry Distributors, Inc. dba Eastern Quality Foods announced the appointment of Celso Antunes da Costa Jr. as an International Sales Trader operating out of Sao Paulo, Brazil. Mr. Costa previously served as a Trader with JBS Foods in Brazil overseeing the markets of Russia, Eurasia and Africa. Prior to JBS Foods, Mr. Costa maintained international sales roles with Marfrig and Aurora Alimentos. 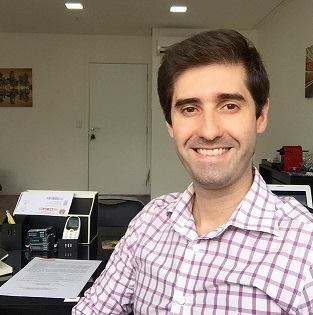 Mr. Costa maintains a bachelors in international Business from Pontificia Universidade Catolica de Sao Paulo (PUC-SP) and a Certificate in Business Administration Latu Sensu from IBMEC-Sao Paulo. Mr. Costa resides in Sao Paulo, Brazil with his wife Natasha and their newborn child Livia.